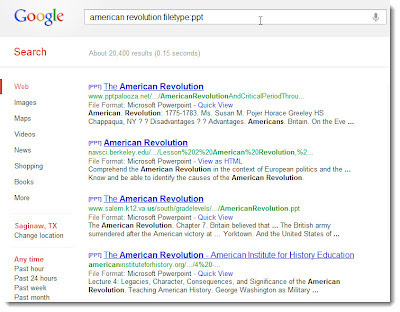 PPT- Find a good PowerPoint presentation to introduce a new topic to your students. SWF- Find interactive Flash files use with an interactive slate or board in your classroom. PDF- Find free graphic organizers, information sheets or other printables. XLS or CSV- Find data files to use for graphing or data analysis. KML or KMZ- Find already created lesson activities for use in Google Earth. You'll find everything from Shakespeare to geometry to the Civil War... it's not just for geography! 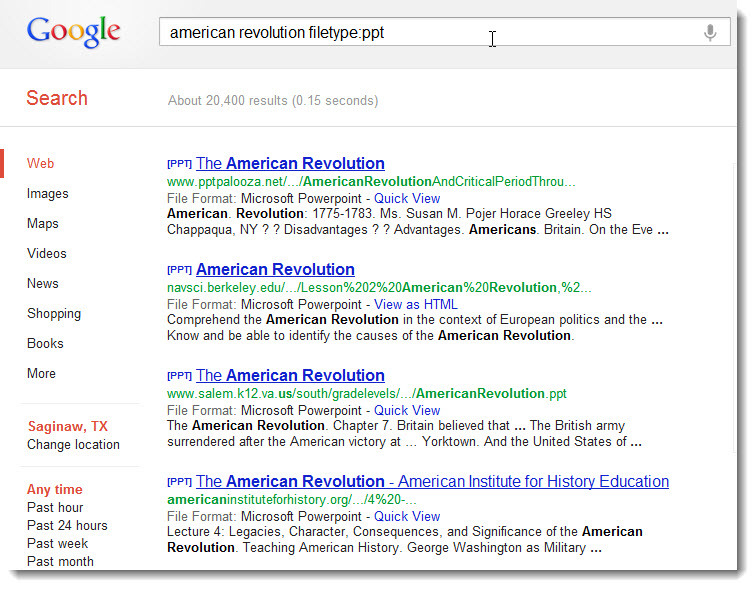 Have you used a filetype search to find classroom resources? Share your ideas in the comments! 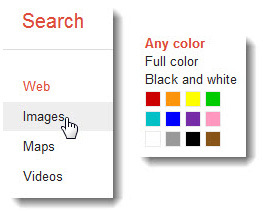 You've probably done a Google Image search before, but did you know that you can also filter the image results by color? Just scroll down on the image results page and choose the desired color from the color palette in the left hand column. For example, if you wanted a picture of a red car, you could do an image search for the word "car" and then choose the red color box to see only red cars. 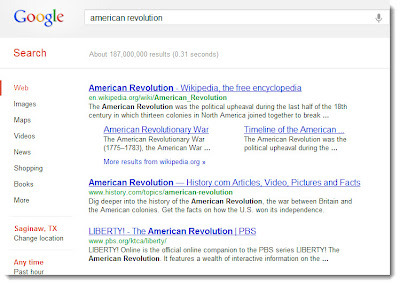 A good use of this for educational research would be to search for charts or graphs for a particular topic. 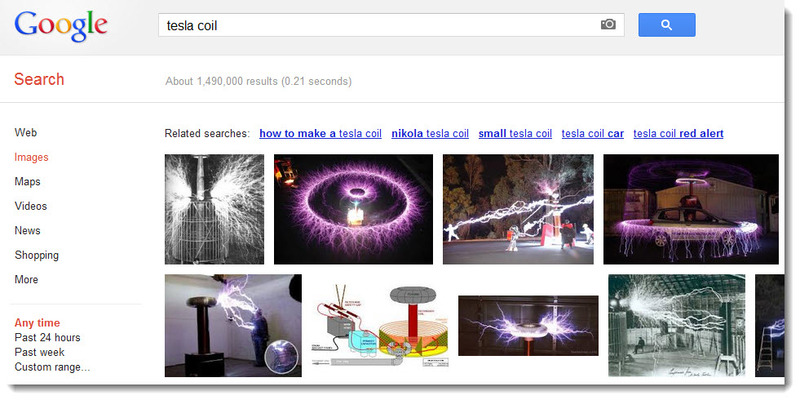 Just do an image search for your topic and then choose the white color box. This works because most graphs or charts have a white background. 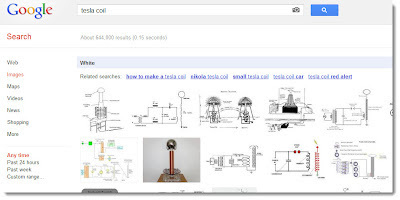 For example, if you want a diagram of a Tesla Coil, do an image search for the word "tesla coil" and then choose the white color box. 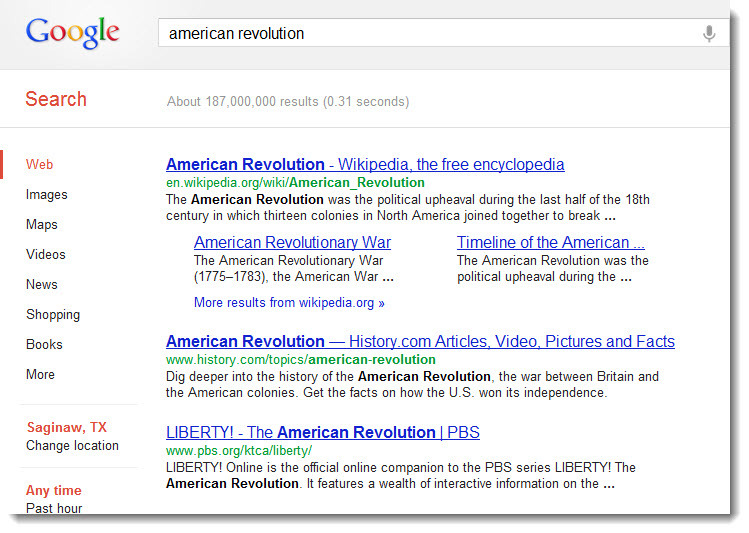 How have you used Google Image searches or color filters?